We took a very quick trip to Canada over the Labor Day holiday. Kenny realized that we hadn't left the country this year, the first time since we got married, and decided that was unacceptable. So, with Claire's brand new passport in hand, we drove ourselves to and across the border. On our way we stopped in Cleveland to visit cousins. We also made a pit stop in Kirtland, Ohio. 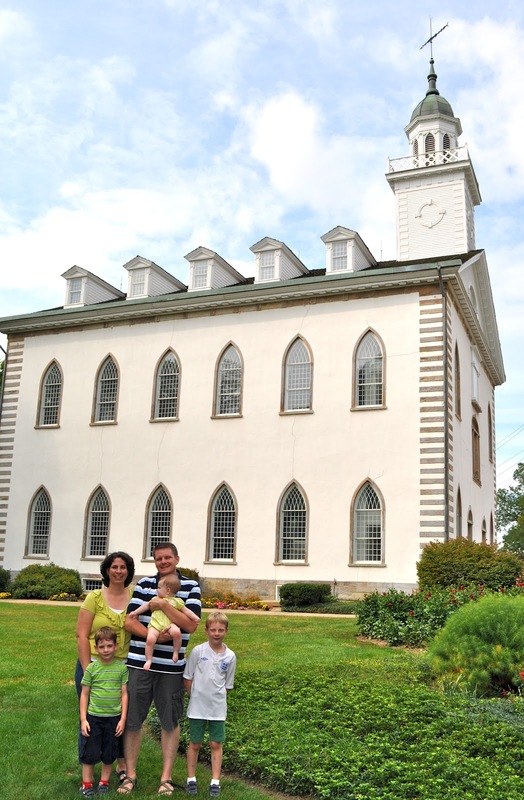 Kirtland is am important site in Mormon history and Kenny had never visited before. Claire and Daddy in the School of the Prophets. 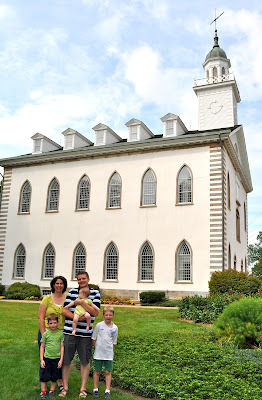 The Kirtland Temple, the first LDS temple constructed in modern times. 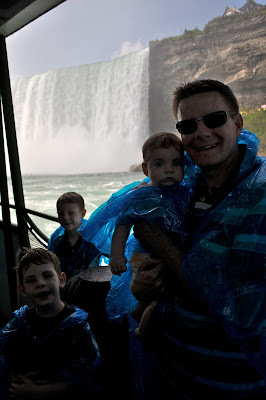 We decided to take a ride on the Maid of the Mist in order to view the Falls to their best advantage. Thank goodness for our ponchos or we would have been soaked. 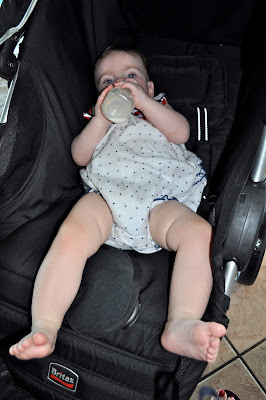 During our brief sojourn in Canada, Claire learned to hold her bottle all by herself. YEA! (We really need to teach Isaac to swim). 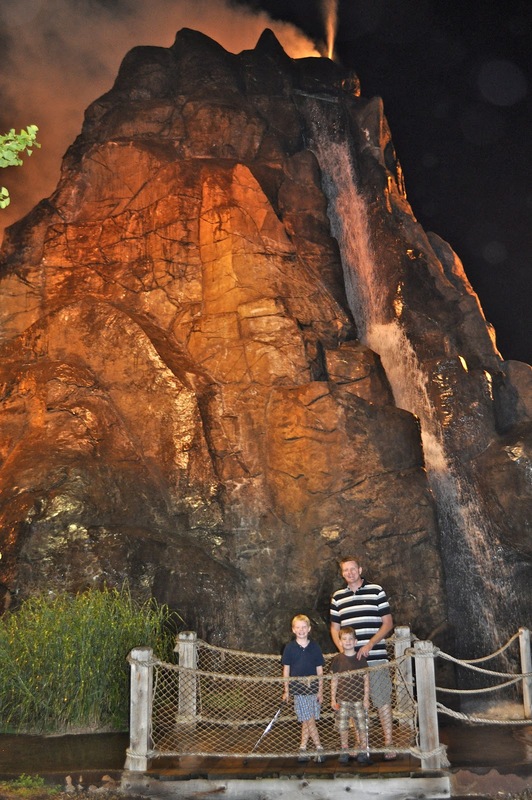 And a round of miniature golf - because once you've seen the Falls, well, you've seen them. One last shot of the Falls before heading back to the US of A. No stamps in the passports, not many places do that anymore actually, but mission accomplished just the same. Great family pics! 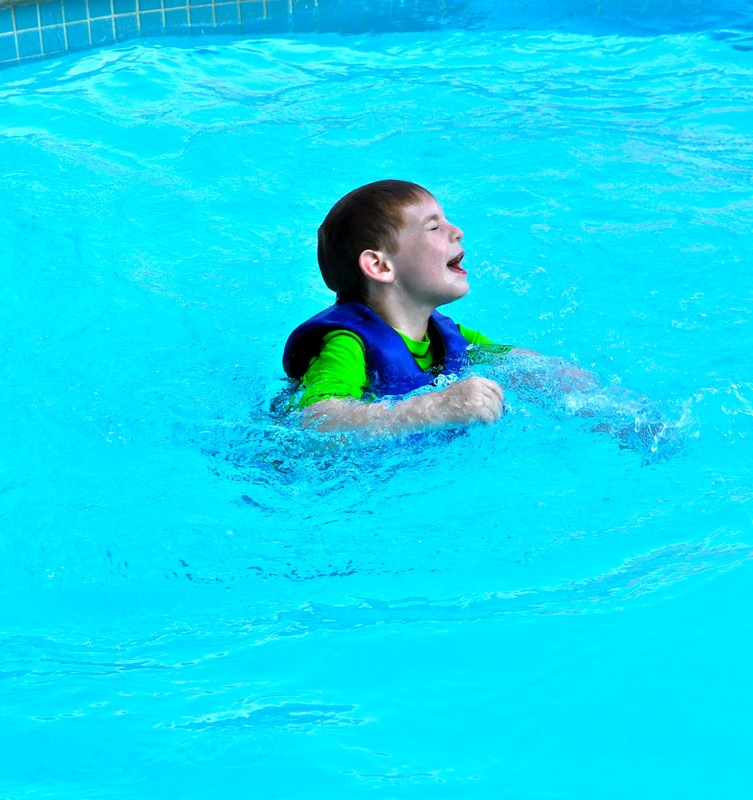 And it looks like a fun trip. Will you look at that bottle holding passport owning little lady!!! I love the fact that Kenny realized that you hadn't been out of the country this year and corrected that immediately.